California boasts some of the best, freshest produce and seafood in the nation, so it’s no wonder San Diego has some of the top seafood and farmers’ markets around. Art, seafood, produce, sundries, clothes and more can be found at these six markets, as well as cooked meals and fresh-squeezed juices. This longstanding market pops up every Saturday, rain or shine, from 8 a.m. to 2 p.m. on W Cedar Street between Kettner Boulevard and Front Street. Shoppers can peruse produce, cheese, eggs, bread, fish, spices, nuts, flowers, gifts, crafts and more. It’s also a decent place to get lunch, as select vendors offer prepared foods and drinks. 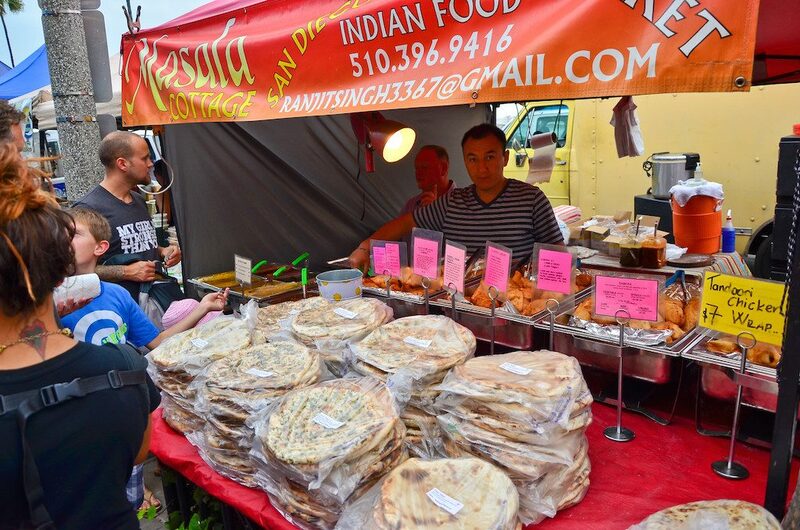 The Hillcrest Farmers’ Market takes place on Sundays from 9 a.m. to 2 p.m. Find it on Normal Street between University Avenue and Lincoln Street for produce, flowers, nuts, cheese, sauces, bread, oils, art, clothes, and more. Stick around for live music and a diverse array of prepared foods. Smaller than the other markets but with the added bonus of being near the beach, the Ocean Beach Farmers’ Market takes place every Wednesday from 4 p.m. to 8 p.m. (or 4 pm. to 7 p.m. in the winter). Find it on Newport Avenue, between Cable and Bacon Streets. 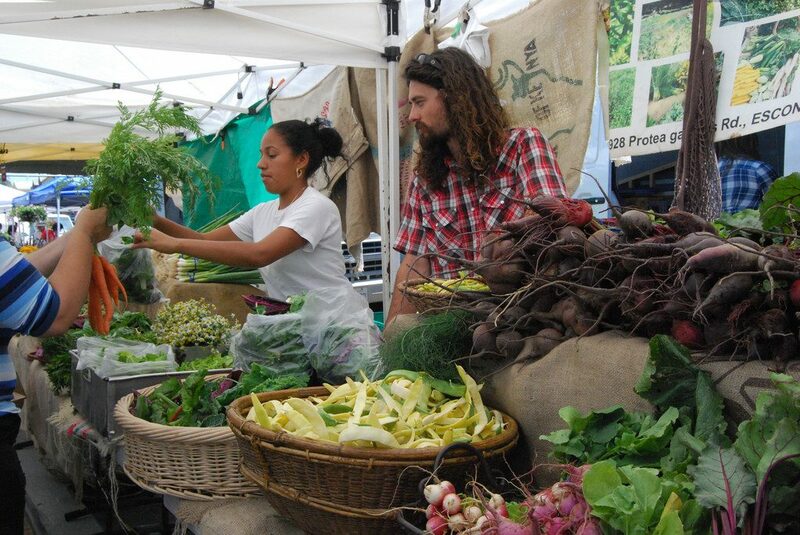 Vendors sell produce, arts, crafts and hot meals, while musicians entertain the crowd. You can also get a diverse array of ready-to-eat food, including Italian rolls stuffed with pasta, courtesy of Torpasta. Go easy on the vendor samples, though they are plentiful, as you’ll want to save room! The Harney Street Market offers a variety of artisan goods, including jewelry, paintings, photography, hand-blown glass, woodwork, clothing, and accessories. It takes place in Old Town San Diego on Harney Street every Saturday and Sunday from 10:30 a.m. to 4:30 p.m. Shopping here is a great way to support local artists, and can be followed by a visit to Old Town San Diego State Historic Park. 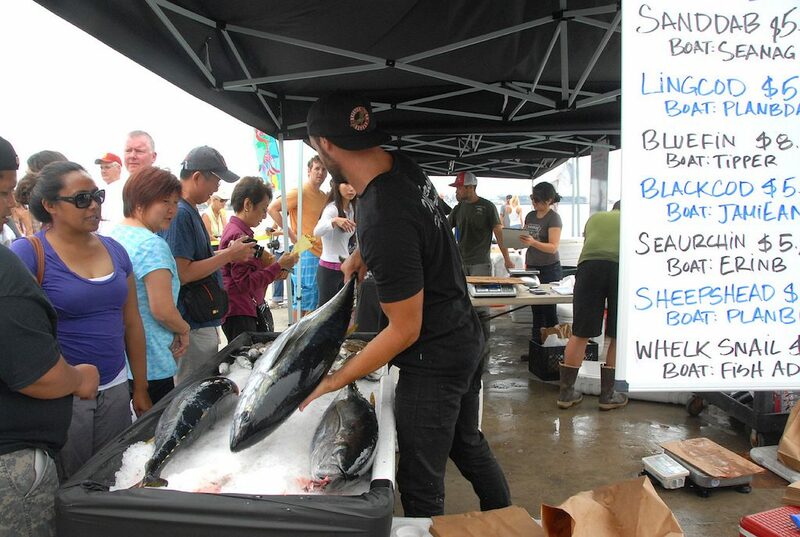 Tuna Harbor Dockside Market occurs every Saturday from 8 a.m. to 1 p.m. at the Port of San Diego. The popular seafood market has six booths, offering about 20 varieties of seasonal, sustainably caught fish from local fishermen and aqua-farmers. 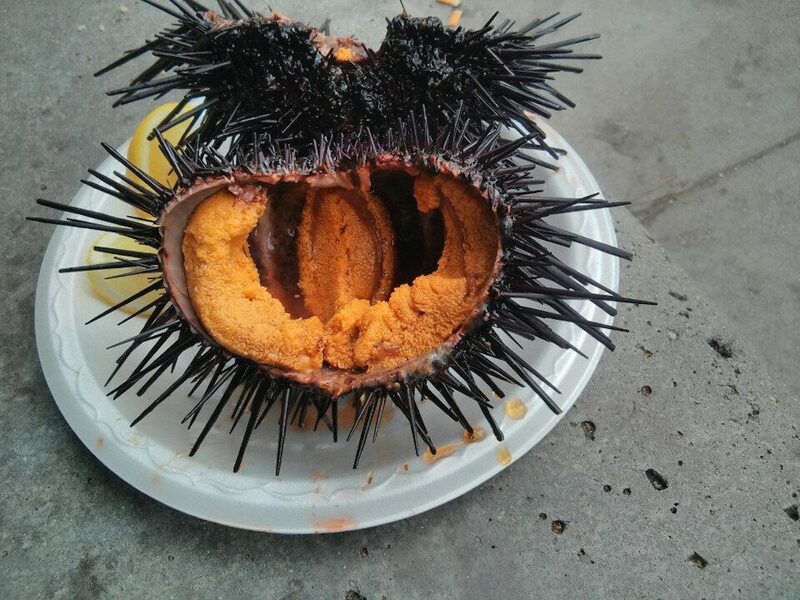 The goal of the market is to “provide a framework to reconnect the fishing and aquaculture communities to the public” and to “raise awareness and understanding of a locally caught seafood source.” Those who purchase whole fish may have them butchered on-site for free, though a tip is advised. The market also sells fish sandwiches. Guests go to Liberty Public Market for meals, drinks, and pop-up dinners, as well as to buy fresh produce, fish, art, crafts, sundries and pastries. It’s open every day from 11 a.m. to 8 p.m., though some individual vendors may have different hours. Vendors include Wicked Maine Lobster, Venissimo Cheese, Pasta Design, Mastiff Sausage Company, Liberty Meat Shop, Lolli San Diego Sweets, Allen’s Flowers and more. Many vendors also do an afternoon happy hour.